CEO salaries went up and bonuses fell in 2012, while equity incentives pushed total compensation up 4 percent. The chief executives at Virginia’s public companies, like their counterparts across the country, are under the microscope like never before. A growing portion of their compensation in 2012 was tied to performance benchmarks, according to an annual study by Equilar Inc., an executive-compensation data firm. On average, Virginia CEOs received stock options valued at $4.8 million last year. Overall, their total compensation increased 4 percent to $7.52 million, which was lower than a national average of $9.7 million. 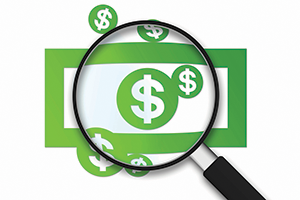 Virginia compensation committees are mirroring the practices of public companies nationally by placing more of an executive’s compensation at risk, says Aaron Boyd, a research analyst with Equilar, who is the author of the study. In a larger national report on CEO pay strategies, Equilar says median total compensation for S&P 500 CEOs increased an average of 6.5 percent in 2012 to $9.7 million, with three-quarters of them receiving some form of performance-based equity, up 8 percent from the previous year. That echoes a study of the 300 largest public firms by The Wall Street Journal and consulting firm Hay Group. It concluded that total direct CEO compensation at U.S. public companies climbed 3.6 percent to $10 million, including $7 million in long-term incentives. “The size of bonuses went down a bit nationally, but that doesn’t necessarily mean a CEO had a poor showing. It just reflects that bonuses were closer to their target last year, after being way above target in 2011,” says Mike Halloran, a Dallas-based compensation consultant with Mercer Inc., headquartered in New York City. Halloran says the average bonus in 2012 was about 158 percent of a CEO’s salary, much closer to the typical benchmark of 150 percent. At the same time, long-term incentive-based elements accounted for roughly three-quarters of a CEO’s overall pay, Halloran says. Nonetheless, there’s no getting around the fact that CEOs are faring better than American workers, whose annual average pay inched up only 2.9 percent in 2013, according to a report in August by World at Work, a trade group in Washington, D.C. In research for Virginia Business, Equilar found that 16 of the 33 CEOs heading large companies saw a raise in salary while the salaries of five CEOs remained flat. Eleven other CEOs had not completed two fiscal years as head of a public company and hence no year-to-year comparative salary data was available. Another CEO, Capital One’s Richard Fairbank, typically takes no salary, preferring to be paid in stock options. During 2012, two CEOs announced plans to retire: Jay L. Johnson at General Dynamics Corp. and CACI International’s Paul Cofoni. Martin P. Klein, the interim CEO at Genworth Financial Inc., returned to being CFO after Thomas J. McInerney became Genworth’s president and CEO on Jan. 1. New additions to Virginia’s CEO ranks during the year included John Jumper at Science Applications International Corp. (SAIC), CEO Steven M. Shindler at NII Holdings Inc., and Martin J. Barrington at Altria Group, the parent company of cigarette maker Philip Morris USA. Leading the pack of Virginia’s highest-paid CEOs is Fairbank, the 61-year-old chairman, CEO and president of Capital One Financial Corp., based in McLean. Under Fairbank’s direction, Capital One completed a busy fiscal campaign by closing two major acquisitions: ING Direct and the U.S. credit-card business of HSBC Bank USA. In addition, Capital One is acquiring Maryland-based Beech Street Capital, which provides government-backed mortgage loans. Capital One directors approved a pay packet for Fairbank of $22.6 million in 2012, made up mostly of performance-based equity awards worth an estimated $20.3 million. That’s a 21 percent gain from Fairbank’s 2011 payday of $18.6 million. Fairbank in 1997 opted to forgo an annual salary and bonus in favor of Capital One stock options. For the first time in years, however, Fairbank in 2012 was awarded a cash bonus: a deferred payment of $2.1 million, payable in 2016. Giving Fairbank a run for the top spot was J. Michael Lawrie, 60, of Computer Sciences Corp. (CSC). Lawrie was hired last year to turn around the system integrator’s sagging fortunes, shedding non-core businesses and pursuing diversification to reduce its dependence on federal contracts. The moves helped boost market capitalization to $7.5 billion. Lawrie’s pay total of $21.3 million includes a $1.25 million salary, a $3 million bonus, and equity awards valued $16.5 million. The fourth highest-paid CEO was Bob Sasser, 61, of Chesapeake-based Dollar Tree Inc. Sasser’s pay surged 175 percent year over year to a cumulative $16.9 million, as the retail chain posted consolidated net sales of $739 billion, up 11.5 percent. In addition to a $1.3 million salary — a 20 percent increase — and a cash bonus of $1.8 million, Sasser picked up nearly $14 million in equity. That includes a one-time grant of performance shares valued at approximately $10 million, with a five-year vesting period. Rounding out the top five was Wesley G. Bush, 52, the top exec at defense contractor Northrop Grumman Corp. Bush netted total pay valued at $15.5 million, which was 26 percent lower than in 2011. For 2012, Bush’s pay includes $5.6 million in combined salary and bonuses. In addition, he pulled down $8 million in long-term equity awards tied to Northrop Grumman’s financial performance. Smithfield Foods Inc. CEO C. Larry Pope edged Bush for the highest salary and bonus among Virginia CEOs: $5.8 million. Overall, Pope accumulated $13.2 million in total compensation in 2012, fueled by $7 million worth of company stock. Pope’s reported compensation actually declined 30 percent from the $18.7 million he got in 2011, in response to the company’s declining earnings, driven down by losses in its hog-farm business. His cash bonus in 2011 of $13.2 million was roughly the same as his total compensation in 2012. Smithfield directors since have rebalanced the pay structure to include a greater mix of equity, capping executive bonuses at $8 million, Boyd says. Pope is orchestrating Smithfield’s entrance into China. In May, the world’s largest pork processor announced a $4.7 billion merger with Shuanghui International Holdings Ltd., based in Hong Kong. The merger, however, is under fire from Starboard Value, a New York investment firm that owns nearly 6 percent of Smithfield’s shares. While a federal panel has okayed what would be the largest Chinese takeover of a U.S. company, Starboard planned to vote no when the deal came before shareholders on Sept. 24, (after presstime for this story), because it says other entities are willing to pay more than Shuanghui. Should a merger result in his ouster at Smithfield, the 58-year-old Pope is in line for potential severance exceeding $46 million, consisting of $27.9 million in cash and $18.6 million of “accelerated vesting” stock, according to Smithfield’s preliminary proxy statement filed with securities regulators June 18. If the merger sails through, Pope gets $8.3 million as a retention bonus, if he stays for three years. Other notable pay deals in 2012 include the $10.4 million paid to Barrington during his first full year as CEO at Altria and $7.5 million to C. Michael Petters at shipbuilder Huntington Ingalls Industries. Petters appears on the Virginia Business list for the first time as a result of the shipbuilding unit splitting off from Northrop Grumman to become a public company in 2011. Greater scrutiny of a CEO’s ability to perform has been building for a number of years, culminating in the Dodd-Frank Wall Street Reform and Consumer Protection Act passed by Congress in 2010. Among its provisions is the so-called “say on pay” advisory vote for shareholders. Nationally, about 98 percent of companies now give shareholders a direct voice in helping set an executive’s compensation, although the advisory vote is nonbinding on a company’s board of directors. “Say on pay has really been much ado about nothing, unless you’re one of the 2 percent of companies where it didn’t pass,” Halloran says. Something to watch for during the coming year: the U.S. Securities and Exchange Commission is expected to announce formal guidelines for companies to implement key provisions of Dodd-Frank. Chiefly, the new rules will require companies to disclose CEO pay ratios — what the top executive makes relative to other employees — and how they define pay for performance. Boyd says the looming requirements give directors at Virginia’s public companies more food for thought as they fine-tune their approach to CEO pay. “Expectations are rising relative to pay for performance. It will be interesting to see if that continues or companies need to make adjustments to keep pace with new regulations,” Boyd says. New normal in downtown D.C.